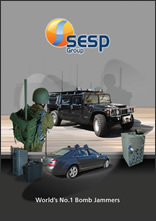 Our products are frequently used in sensitive military, law enforcement and anti-terrorism applications. They are also not legal for all purposes in all jurisdictions. For these reasons, we only make available detailed product information to customers with verified access clearance. If you are a member of a government agency, law enforcement organization, police unit, military organization, or an individual with specific clearances for using RF jamming equipment, we would be happy to speak with you. Please submit the following form and we will contact you to supply you with detailed product specifications and professional pre-sales consulting. Notice: SESP does not publish, sell or trade your personal information. Click here to review our Privacy Commitment.